SMOK Vape Pen 22 Kit Light Edition or Smok X-Force Kit, You Choose which one? Hey, guys. Today I will introduce you two smok products. The SMOK Vape Pen 22 Kit Light Edition and Smok X-Force Kit. 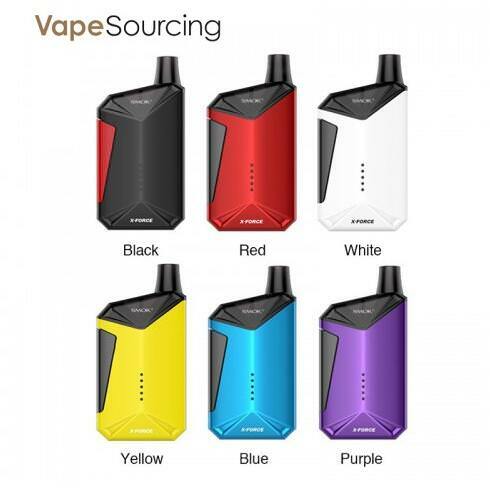 Smok Vape Pen 22 kit Light Edition is an advanced version of Vape Pen 22, as the name implies, this new version has LED lights at the tank base. When you fire the device to vape, the LED will light up and change its color along with the color of sealing ring. It is an one-piece vaporizer in the compact size and simplest design. With a diameter of 26mm and 1650mAh battery capacity, the well-designed device will provide you massive cloud and unique flavor. 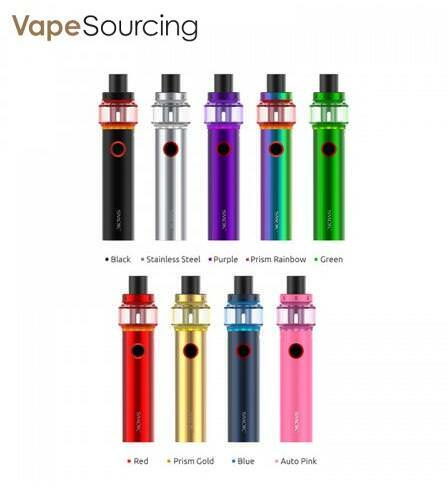 Whats more, all parts of the Vape Pen 22 Light Edition can be detached and reassembled, bringing much more convenience in cleaning and maintenance. 9 Colors available. Smok X-Force Kit 45w is a relatively lightweight kit. The elaborately carved lines and cutting design on the mod exude a powerful masculine force. 5 LED indicators arranged lengthwise clearly show you the combat power, plus built-in 2000mAh battery, ensuring the massive cloud and dense flavor. X-Force tank is refillable with a large e-liquid capacity up to 7ml, and whats more remarkable is the unique X-Force Coil - the transverse coil, which is different from the previous layout structure, providing diversified vaping experiences to all the vapers. 6 Colors available. Both two e-cig starter kits are cheap, with the price less than 20$, so which one you like better? you can tell me the answer in the reply.